HyreCar is a marketplace specifically designed for rideshare drivers that allows drivers to rent a car to drive with Uber, Lyft or any other on-demand company like Postmates, Doordash, Instacart, Grubhub, etc. Private vehicle owners list their cars for rent on the site and potential renters/rideshare drivers can sort through the listings and rent a car. Most of the vehicles have already been inspected and approved for rideshare platforms and HyreCar provides insurance too. 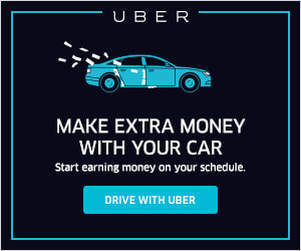 So with HyreCar, you can rent a car to drive for Uber if you don’t have an eligible vehicle or you can even rent out your own car to those who want to drive for Uber and make some money that way. Renters can often get on the road in under 24 hours and, since it’s a marketplace, there are a ton of different cars to pick from: we found everything from a bare-bones Hyundai to a 2016 Mercedes E-Classes. But during our HyreCar review, we found that most listings were for economy cars best suited for gas mileage and rideshare. Keep in mind that HyreCar is a marketplace similar to AirBnB so they don’t own any cars. Instead, they connect car owners with rideshare drivers in need of a vehicle. In order for a platform like this to work, there has to be safeguards to ensure that listings are real, insurance is adequate, and that things are handled well for drivers and car owners. There has to be trust. HyreCar’s inventory is made up entirely of individual car owners and most of those cars have already been inspected by Uber/Lyft before they are rented out on their site. This is important for rideshare drivers since you don’t want to spend time getting a vehicle inspected if you’re only going to use it for a few days at a time. If the vehicle you want hasn’t been approved for Uber/Lyft yet though, you’ll need to take it to an Uber inspection lot or your own mechanic and then get it added to your profile (Uber usually approves new vehicles within a few hours). When a driver is driving for a Transportation Network Company (TNC) like Uber or Lyft and a ride is in-progress (the driver has pushed the button to accept a ride) our policy is secondary to the TNCs (Uber/Lyft) policy. For all other instances, our policy is primary and the driver does not need supplemental insurance. Our insurance covers $25,000 of vehicle damage and up to $300,000 for liability. There is a $1,000 deductible for all damages. HyreCar’s insurance policy is pretty similar to a standard rideshare insurance policy although the deductible may be a bit higher than what you’re used to. And remember if you get into an accident while you’re on a trip or en route to a passenger, you would go through the TNCs for coverage (Uber has a $1,000 deductible and Lyft has a $2,500 deductible). HyreCar’s insurance was generated specifically for rideshare drivers and it costs $10 for each day that you rent a car. Background Check: If you are new to HyreCar, there is a background check that you need to pass before you can rent a car. It can take some time but you only have to do it once. And there’s also a fee but it’s refundable if you don’t pass the check. Is HyreCar A Good Deal? You can get a 2014 Toyota Corolla for $200 a week plus $10/day for insurance and a 10% transaction fee. This comes out to $290/week or roughly $1,160/month. That’s an adjusted total of $38.66/day to rent a car and drive for Uber and/or Lyft. There is a lot of diversity in the vehicles available on HyreCar though so pricing will definitely vary based on whether the vehicle can drive Select, XL, age, gas mileage, etc. $1,160/month is steep but this lease could still make sense for people without a lot of other options. HyreCar allows drivers to test multiple platforms without restricting them to either Uber or Lyft; meaning they can explore more facets of the rideshare industry before committing themselves long-term. Costs for things like wear and tear are built into the price of renting the car. So it makes those costs more fixed than if you use your own car and have to bear the brunt of extra maintenance, miles, and depreciation of the vehicle. This also makes adding up your costs a lot simpler. At the end of each week, you will know exactly how much you made and exactly how much you spent. One of the trade-offs for a higher weekly payment with HyreCar is that it is extremely flexible. In theory, you can easily get in and out of the rental agreement within a day if you do not like driving or simply want to take a break. This means you only pay for a vehicle WHEN you need it and stop when you don’t. If you look at Uber’s Xchange Leasing, that program requires you to pay $120-$200/week for a minimum of 1.5 months and a $250 fee to break their lease. HyreCar allows you to rent a car for as little as a couple days and there are no fees to return a car. Another problem drivers run into with Xchange is that you can only lease one car from them. So if you find that you do not like your Xchange vehicle (or need to take a three month hiatus), you cannot get another lease with Xchange. On HyreCar, you could actually drive a different vehicle each week until you find your favorite one. HyreCar has a phone number to call (try it here! (213) 805-8677) and a human answers the phone. In my experience, they were very friendly, responsive to my questions, and knowledgeable in guiding me through the signup process. UberSelect or UberXL Test: Investing in a car that is eligible for UberSelect or UberXL is a big decision with heavy financial ramifications. So it’s smart to see if you can get enough business on those platforms in your city before committing to a more expensive Select/XL vehicle. HyreCar is the only platform we’ve found with Select/XL eligible vehicles. It would also be a good test to rent an UberXL eligible vehicle on HyreCar for a week if a big game, event, or convention came to your market. Car in Shop/Broken: If your car is in the shop or gets into an accident, you can use HyreCar to get back into a car and get on the road. This goes a long way since a lot of drivers don’t realize that when you get into an accident, you will be temporarily deactivated from Uber/Lyft until your car is fixed. So if you normally rely on your Uber/Lyft income, HyreCar would be one of your best options to make money while your car is being repaired. 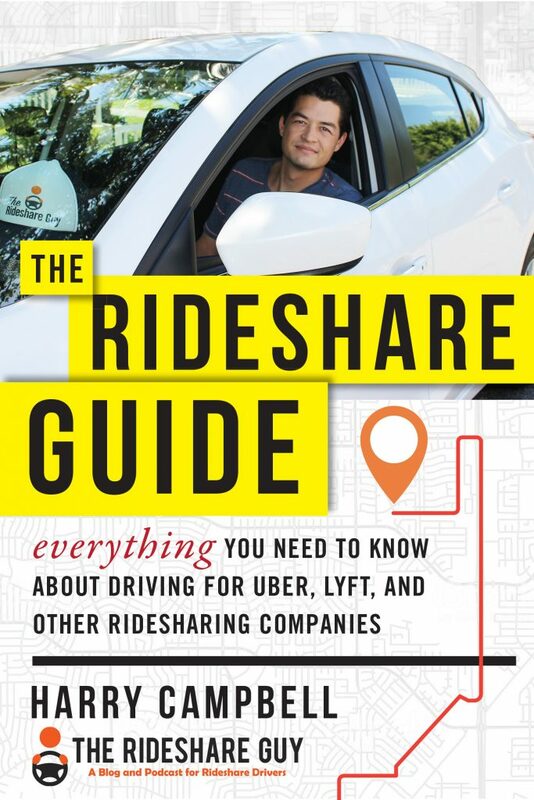 Testing The Waters: Rideshare driving isn’t a great fit for everyone so this could be a great way for new drivers to rent a car and test the waters without having to commit to purchasing a car. And the best part about testing the waters with HyreCar is that you can also test out different cars for a few days at a time; giving you a good idea of whether or not you like any particular make or model of car. Denied For Xchange Leasing or Express Drive: Xchange Leasing and Express Drive are not in every rideshare market and sometimes drivers fail their credit checks. HyreCar offers an option for these people to get on the road and earn money. HyreCar is available in dozens of markets across the US. Both Fair and Hyrecar are really good options. Fair is for Uber only whereas Hyrecar is for almost everything else (including Uber). HyreCar is best suited as a short to midterm vehicle solution. So if you want to get started as an Uber driver without committing to a long-term agreement, then it could make sense to use HyreCar to test the waters. 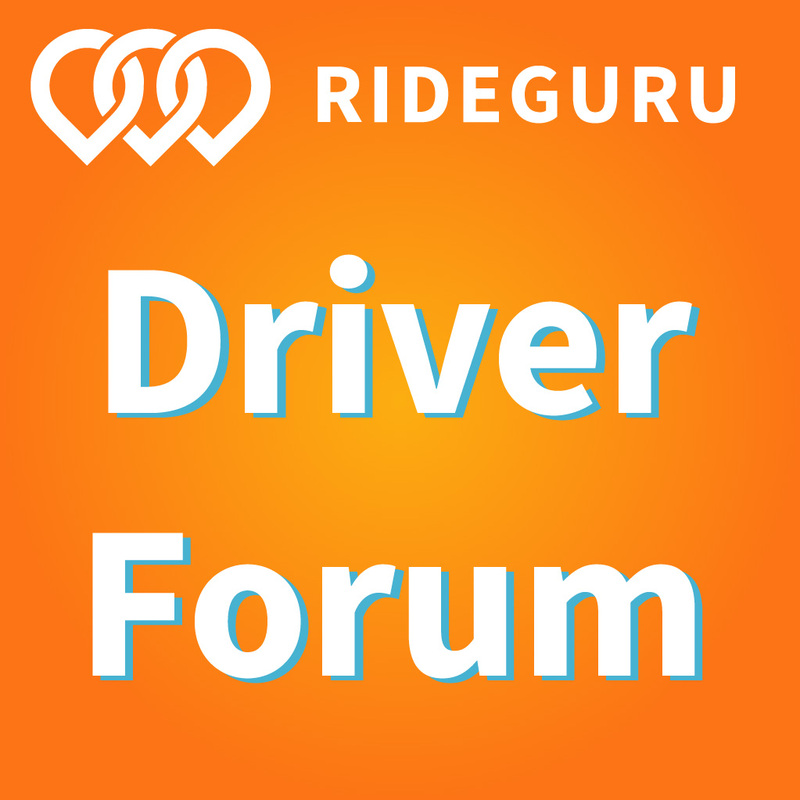 The average rental duration with HyreCar is 16 days indicating that there is no expectation of holding onto the vehicle for a long period although some drivers have held onto their rental for over a year. Hyrecar and Fair app each have their pro’s and con’s. We recommend you read our fair app review to determine which is a better option for you. I’d also add that HyreCar makes a lot of sense if you’re looking to quickly get in and out of vehicles. One of the biggest complaints we hear about the Uber Xchange leasing program is that it can be a real pain finding available cars (since you have to call all the dealerships ahead of time) and drivers often have to spend hours haggling at the dealership with car salesmen getting paperwork signed and rideshare insurance set up. I like that HyreCar is a marketplace with up to date availability since you know exactly which cars are available and how much they cost. Click here to see all the ways you can rent a car to drive for Uber and Lyft. Probably Not The Best Long Term Solution: Most monthly rentals on HyreCar go for around $1,200 a month. 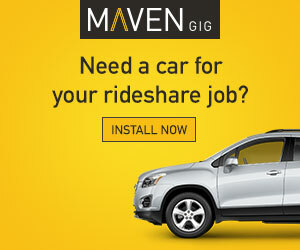 Add in $10 a day for insurance, plus the 10% fee and you quickly get above $1,500 a month for a rideshare vehicle. That is a lot more than other leasing options and you’ll really have to drive full time for at least a week or two every month before you break even on the rental. Some are going to end up using HyreCar because they got denied for other options, but my advice is to do everything you can to get a car that costs less if you plan on driving with a rental car for more than a few months at a time. Mileage Limits: Each car on HyreCar has a daily mileage limit but fortunately, these mile limits seem to be pretty high; between 150 and 300 miles a day. However, if you want to drive as much as possible to buy your own car (and avoid renting one for more than $1,000 a month) then those mileage limits may slow you down in going “all out”. Getting In/Out of Cars: Since each car is owned by an individual owner, you need to coordinate pick-up/drop-off of the car. Some owners may offer free delivery of the car but otherwise you need to figure out a cost effective way to get to/from your car. You will want to make sure to set this up for yourself in a way that will minimize downtime. As a driver who was on the road full-time for rideshare, I will say it is very valuable to have HyreCar as an option in case of a break-down or accident. When I drove, there were no rental options anywhere. If your car broke down or got into an accident, you would be complete TOAST if you didn’t have any savings or emergency fund. So even though it’s obviously more expensive than a regular car, it’s good to know that HyreCar is there in case the transmission drops out of my car or I get rammed by another angry cab driver. I know at the very least I would be able to get back on the road and pay my bills. However, I think this service is best used for shorter term rental periods or for those drivers without other options. I would not recommend it as a first option if you need a vehicle beyond that time period since the costs come out to $1,200-$1,500 a month after rental fees and insurance. No matter how you mash that, it’s not a prudent way to operate your business. Especially since earnings fluctuate so much on Uber and there is no guarantee that what you are making today will look anything like what you make tomorrow. But if you’re out of other options or like the flexibility that HyreCar offers, their platform works well and they have good support. Additionally, the insurance is real and their process is much more streamlined compared to other options we’ve tested. It’s easy to see which cars are available in your area, exactly how much it will cost and then you can book your new rideshare vehicle today. If you would like to sign up for HyreCar, please click here. How long does it take to get on the road with HyreCar? Sometimes it takes Uber/Lyft a few hours to accept a vehicle on drivers profile. But you can avoid this by going directly to an Uber Green Light center or bugging Lyft on Twitter to expedite the process. How do I know if a HyreCar listing is legit? The quality of each car and listing varies from person to person. You will want to make sure you do your research to get into a good car. I suggest checking the ratings and feedback from previous renters and choosing appropriately. I also saw a few 2-door cars on their listing and I know they are not eligible for Uber/Lyft yet they were listed as Uber/Lyft verified. So make sure you check the Uber car requirements too. Rideshare vehicles tend to get damaged. If someone throws up in your HyreCar and the rideshare fee doesn’t cover the full extent of the damage, you are on the hook for the difference. Every time you rent a new HyreCar and return it, you will want to complete a vehicle checklist with the owner. I also suggest taking pictures of everything on the checklist when you get the car, and when you return it for your personal records. Do you think you would use HyreCar? If you’ve used HyreCar, what was your experience?